Chrissie Hynde, Peter Frampton and Adele want you to live in the moment. Pretenders frontwoman Chrissie Hynde wants you to put down your smartphone during her sets. If you can’t resist the urge to record the 80s band, Hynde may publically shame you, hurl expletive-filled rants at the entire audience for almost an hour and then walk off stage, as she did during a concert in Dubai last week. Headlining the Irish Village’s Live on the Lake Concert on October 26th, Hynde told the crowd “stop using your ******* phones, stick ‘em up your ****.” She then proceeded to pinpoint people in the crowd who failed to do so, an audience member who was at the concert told The National, a Middle Eastern news outlet. During her tirade, Hynde said that if people wanted to record the concerts they go to, they should be seeing Lady Gaga or Katy Perry, not a “rock band” like the Pretenders. “After 45 minutes to an hour of expletive-fuelled rants, it seems the legendary rock icon simply gave up,” The National reports. Fans have since have expressed their outrage on Twitter (naturally) and asked for their money back. Other musicians have been forcefully phone-free: Peter Frampton threw a fan’s cellphone offstage after the fan refused to stop taping a show in 2014, CNN reports. In 2016, Adele asked a fan to stop filming saying “can you stop filming me with a video camera because I’m here in real life,” adding that “This isn’t a DVD, this is a real show,” according to US Weekly. That artists want audience members to be present is fair enough. Phones do pull us out of the present, regardless of where we are. (Some social networks, like Facebook, may even warp your perception of time.) Plus the whole lure of concerts is that you’re seeing a musician you like live, right in front of you. Its premise rests on paying attention to the performance, otherwise you could stay at home and listen to a recording of the same album. Hynde’s outrage, especially as a rockstar who’s been around for a while, makes total sense: using phones during concerts is distracting for the user and, clearly, the performers themselves. Not to mention using phones during shows is horrible for people around you: having to watch through someone else’s screen, especially if they’re struggling to find the right filter for their photo, is distracting. Also, if Peter Frampton or Chrissie Hynde is telling you to put your phone away, just listen. But Hynde’s request is also somewhat unreasonable: the extent to which musicians can enforce a utopic, screen-free space is hazy. But performers have to consider that it’s easy for them to ask people to “live in the moment” because they are the celebrity people came to watch. For audience members, especially those seeing nostalgic acts like the Pretenders, fans are likely to want to take photos and videos to send home. It’s an unsettlingly modern paradox, where musicians should be able to tell fans to ditch the phones and have them adhere to that, and fans should be able to embrace their experience in whatever way they see fit—unless it ruins the experience for other people. But there does seem room to compromise. On the audience end, being a conscious phone user during shows is key: if you can’t resist using your phone, try to limit the amount of photos you take and position yourself in a way where you avoid blocking someone’s view. 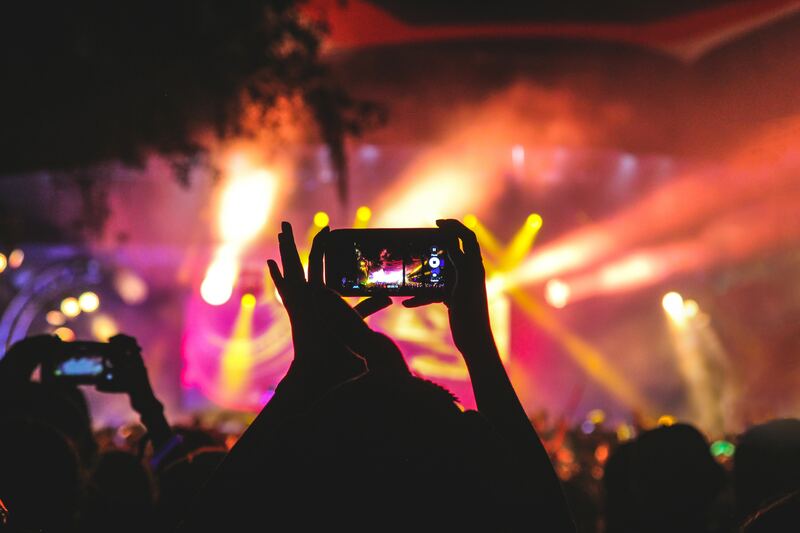 And for performers, encourage audience members to be more mindful about their phone-use, but pose for a photo or two at the beginning of the show to help those who want to record and remember do so in a way that still allows them to enjoy the concert in the moment.